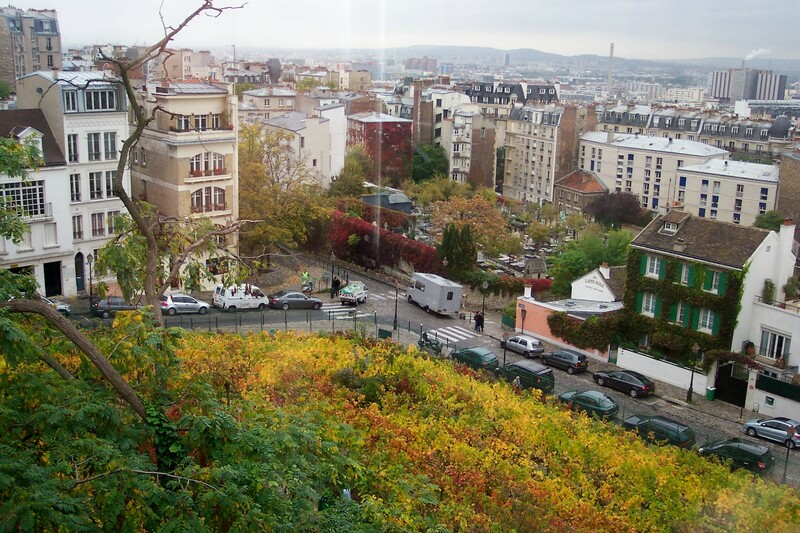 When the ETs get into a bohemian mood, they don their berets and fingerless gloves and climb the hill to Montmartre. At the turn of the 20th century, it was the hub of artistic life, cabarets and shady dealing. Today Montmartre is a magnet for tourists in search of “Amelie”, and pickpockets in search of the tourists. On a sunny weekend, this square will brim with sightseeing hordes. Two earlier visits on sunny weekends were absolute hell; huge crowds filled narrow streets, leaving the ETs mortally bruised by free-swinging Nikons and “I ♥ Paris” shopping bags. The headwaiters were delighted. The ETs vowed “never again”. 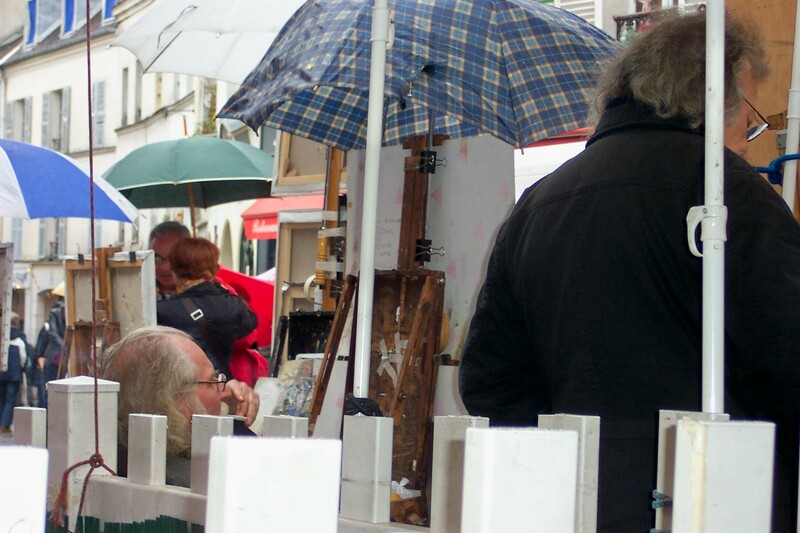 We plan our Montmartre sightseeing for mid-week, preferably in a drizzle. 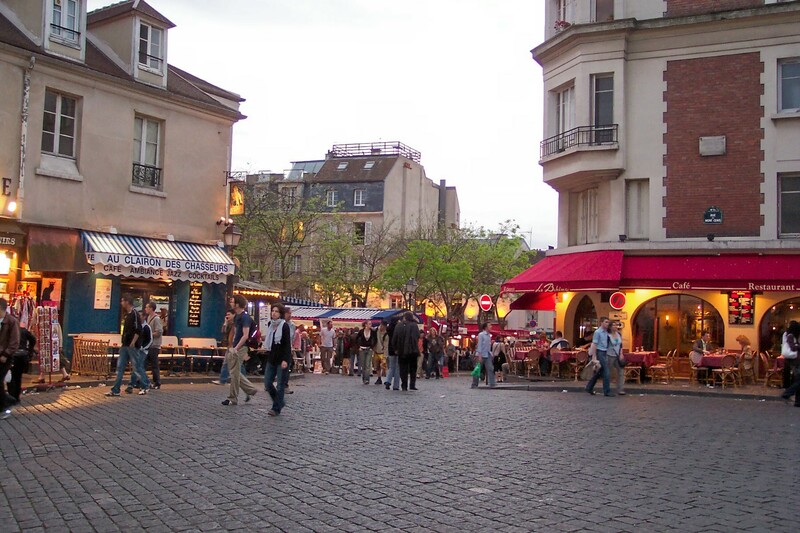 The Place du Tertre is the epicenter of madness on the butte. Nurse will examine the artists wares, but hasn’t found the “next Picasso”. It doesn’t deter the ETs from taking out battered sketch pads and looking artistic. The Lapin Agile, a cabaret known to entertain dubious characters, anarchists and assasins. There are still reminders of the freewheeling days when Picasso, Utrillo and Satie wrote, painted, drank and fought in neighborhood. 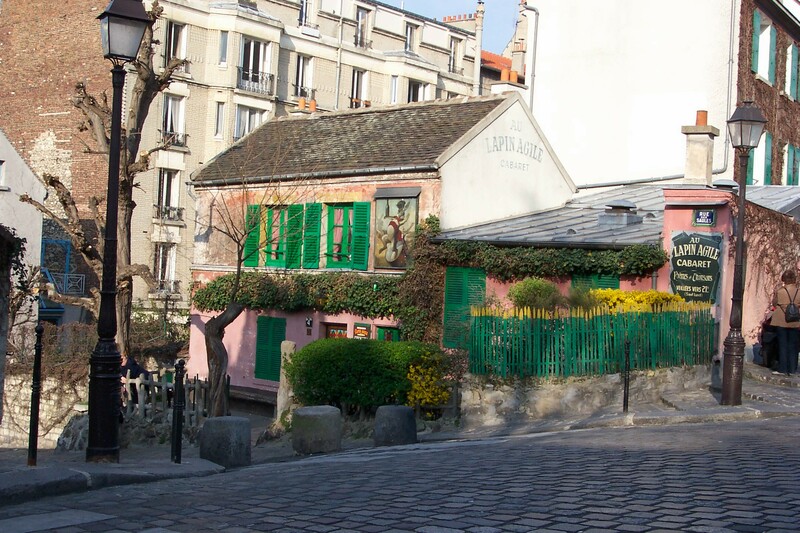 The cabaret Le Lapin Agile is largely unchanged since it opened in the 1830s. The ET’s were ready to liberate their eccentricities, drink shots and sing in bad French. But alas, it was closed. View from the Musee de Montmartre. Were there once nuns working a vinyard out there? 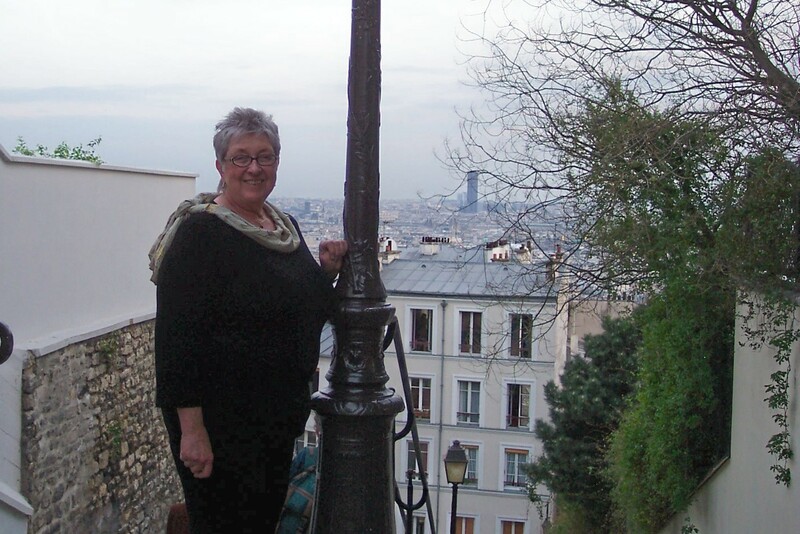 Further up the hill, the odd little Musee de Montmartre documents the history of the butte and showcases the works of Maurice Utrillo and his mother, Suzanne Valadon. The paintings were nice, but we remember best the story of Les Dames de Montmartre. Just after the Revolution, these talented wine-making nuns started the ball rolling by selling tax-free bottles. We have the Sisters to thank for the strolling accordion players and 7-euro glasses of plonk. 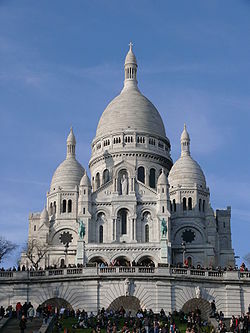 Flush with historical knowledge, the ETs followed the crowds to the steps of the Basilica of Sacre-Coeur. The white “wedding cake” church was consecrated in 1919, and it’s unusual style has been controversial ever since. 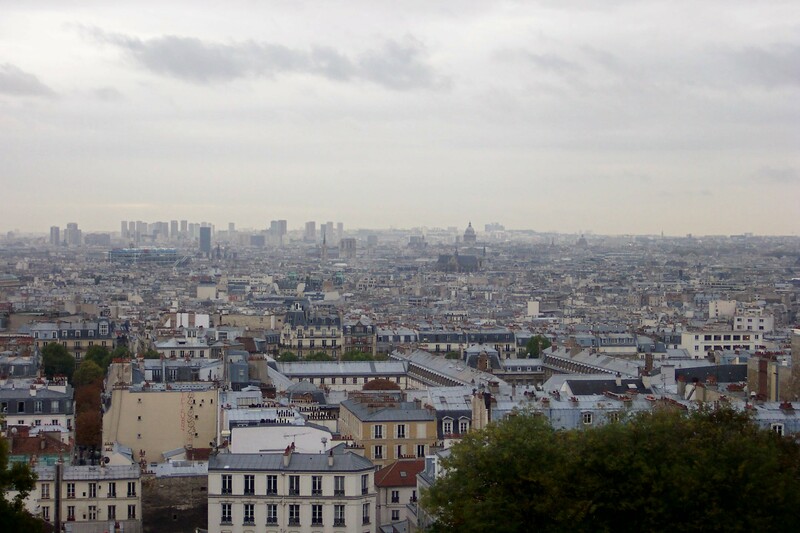 From the Basilica steps, the view over Paris is splendid. Hungry from our artistic ventures we went in search of sustenance. 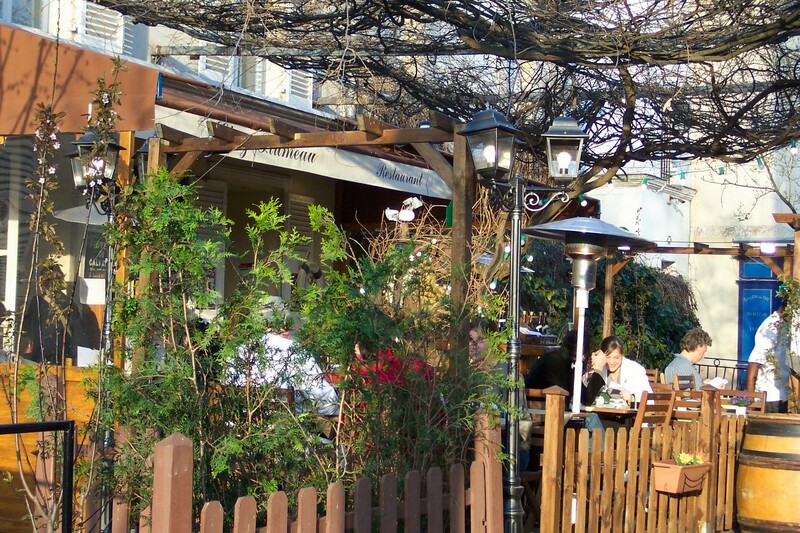 Nurse assessed restaurants on the quality of their gardens, so we settled on an outdoor table at Chez Plumeau. As the sky cleared overhead, we enjoyed choucroute, sausages and a bottle of reisling, toasting the artistic spirit of old Montmartre. Who needs a funicular! Nurse celebrates her ascent. No visit to Montmartre is complete without character-building suffering that awakens our bohemian spirit. Nurse favors trekking the long, steep stairways that line the hill. I prefer the pain of the souvenier shops. In Montmartre, we both grow artistically, each in our own special way. 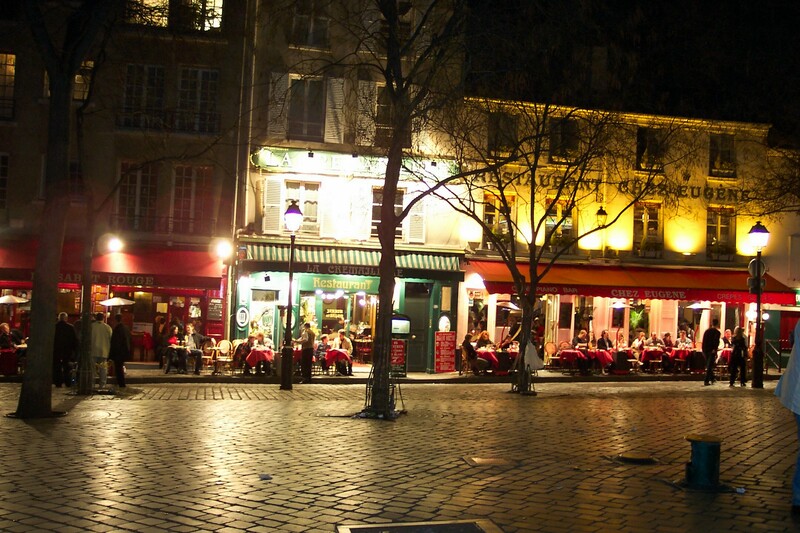 The Place du Tertre "after hours"